This soft leather headband measures 1/4" in width and underneath is a very flexible base for ultimate comfort. 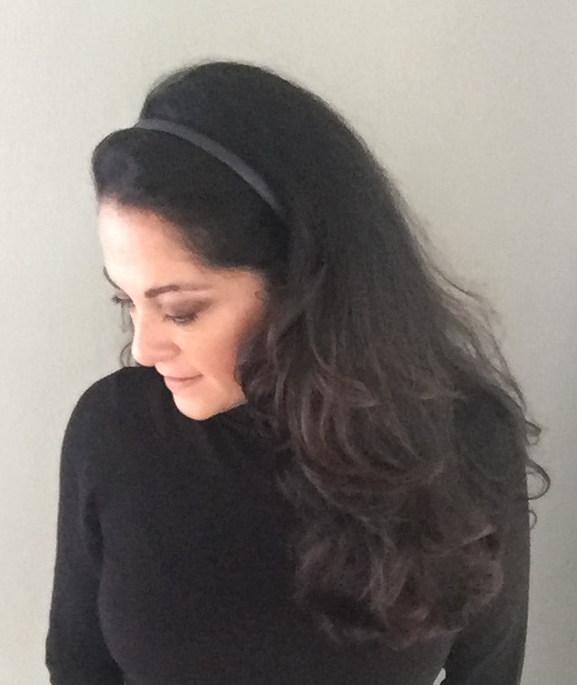 This is a Perfect, Classic, everyday headband. Shown here in fuchsia, red python print, navy lambskin leather and our model is wearing grape.